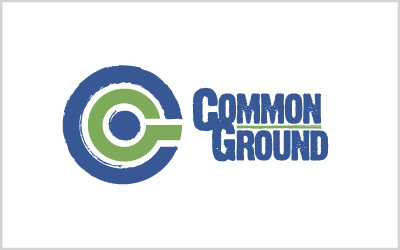 This custom Common Ground logo was created for a student ministry of New Hope Presbyterian Church in Fort Myers, Florida. In this logo, we incorporated the CG initials into a bull’s-eye-like icon to solidify the Common Ground/coming together theme. We also gave it a rougher “edgy” style that the youth director desired. The group’s webpage can be found at newhopefortmyers.org/common-ground.